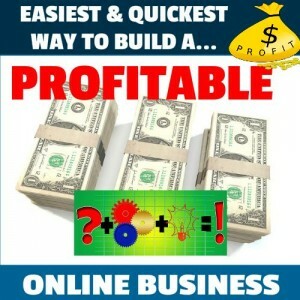 What is the easiest (and quickest) way to build a profitable online business? Take Action. Okay… I stated the obvious… and while that is one factor that is not what this article about. But no matter what you hear, read, see, making money online actually requires some effort. BUT… when you get it up and running, optimized, and profitable… you can scale and BOOM… you have a 24/7 ATM machine that actually requires very little maintenance. Whenever someone comes to me with their “Million Dollar” idea… whether it is for a business, a website, a fan page… more often than not, while the idea is sound, it has no foundation underneath it. I then gently guide that person 2 steps back to ensure that I can help GUARANTEE their success. After all, why would anyone want to fail and fall into one of the most common mistakes made in the online world when starting out… failing to understand your target demographic or market. Without research, and understanding what is already working in the “real” world, knowing how much (and if) your target audience is actually willing to spend money on your type of product or service, is critical. For instance, iPhone users are more willing to pay or spend money on technology and apps, etc… than Android users. You must also know what your competition is and is NOT doing, otherwise how can you beat them, or come up with something that is better? If you do not take these things into consideration then you are literally gambling! You may as well be playing the lottery. You can get lucky… but at what cost? Unless you’re in the position to blow your money, or if you are smart, get investors to back your idea (Crowd Funding is great for that), you are far better off to model what is already working and what is already making money for other people. In other words… DON’T REINVENT THE WHEEL! Instead, stand on the shoulders of others that are already successful in your industry… improve upon what is already out there, take a different angle, think outside the box, but don’t invest time and money on something that does not have a proven and time tested market or audience. RESEARCH does not need to be difficult or even time consuming or over-the-top. As a matter of fact it can be super simple. Modeling others saves time, money, headaches, and allows you to become successful faster! It is as simple as that. Then if you want to roll the dice, you can do so freely without potentially jeopardizing your ability to get a ahead and start experiencing the life that you deserve sooner. This tip alone could make or break you… professionally and personally! There is not a single product or service that cannot be improved upon, even if it is just by offering better customer support, finding an easier more user friendly way of accomplishing the same results, utilizing newer or better technologies, or just adding a feature or tow that makes it better than your competition. You CAN still be innovative! To this end, I wanted to offer you two resources to help you understand and see the potential of this concept. The first is a FREE webinar by Russell Brunson, a millionaire marketer, that shows you how easily it was for him to generate “BiG” money by “modeling” other successful businesses in his industry. Now it took him time to get that realization, but you will see how much of an effect this principle had on his profits. Watch this FREE Webinar here… http://goo.gl/jfxyZ9 – this is some really great stuff that applies to anyone and any type of business!!! Another resource is for those who run Facebook ads, or have failed at it in the past, or those that are looking to start running Ads in the future. As most of you know, Facebook is a great source of cheap traffic. It is easily one of the best and highly targeted sources if done correctly. 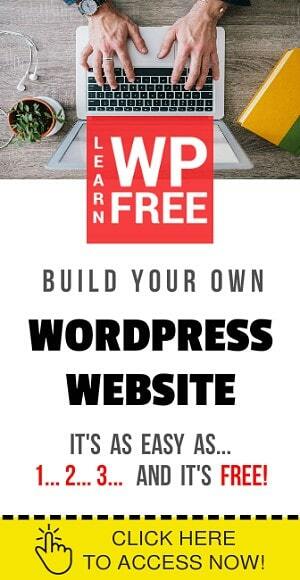 Besides the 1 tip that you must always adhere to when paying for ads… which is to test multiple versions of ads starting with a small budget of $5 – $10 per day… to see what is working. Wouldn’t it be easier to spy on what others are already doing and run your own ads based on what is already working and getting a great response?Of course it is! While obvious, and concept applicable to any area of business, you would be so surprised at how many people don’t do this. Now the truth is that there are not many tools our there, especially for Facebook Ads but there is a new one that was just released. This concept works. It is the ultimate shortcut for all those shortcut seekers that waste money on useless courses, tricks, and systems that end up being a waste of time and money. Success leaves trails. Check out the news, magazines, different affiliate sites, purchase your competitions products or services, or at least get on their lists… study, learn, not courses and programs… but what they are doing. What Runs Where… Expensive Spying tool for PPC ads but if your making bank why not use the best? Similar Web… has a free search that spys on Websites and PPC. Google… yes a Google search to see what is ranking. Amazon Best Sellers List … what are the best selling items? I think you get the idea. Resources for research and demographic analysis are everywhere… the point is… just do it!